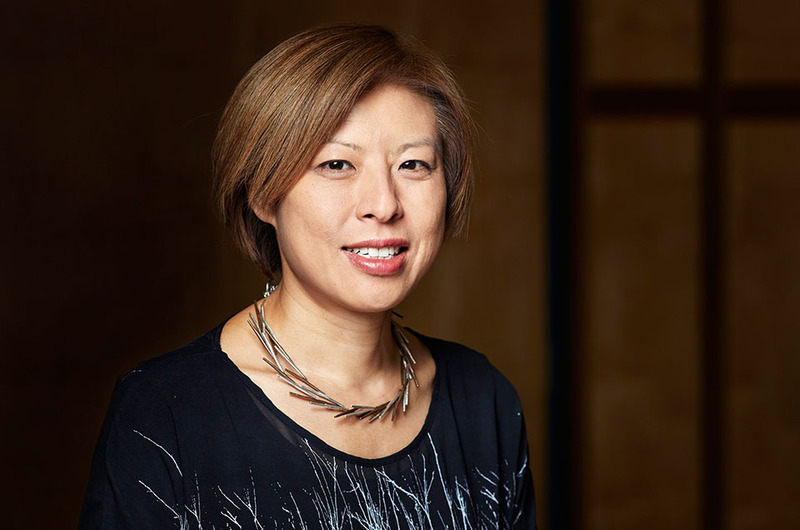 Elaine Chia is CEO of City Recital Hall, one of Sydney’s leading arts, entertainment and festival venues. Her career spans music, theatre and visual arts, and she is a passionate advocate for the arts. Elaine’s formal introduction into arts management began with the Australian Youth Orchestra. Her role on her first symphony orchestra tour was to source and coordinate host families for 110 young musicians in 10 cities across Australia. In 1996, she managed the National Music Camp with 240 music students and 100 staff and volunteers. Her role as coordinator, wrangler, persuader and responsible big sister was thus cemented. Elaine’s journey next took her to Belvoir St Theatre as business manager, then to Sydney Conservatorium of Music as marketing and development manager. Elaine moved to Melbourne in 2004 where she took on the role of acting CEO of the AMEB, and later, business and finance manager at Heide Museum of Modern Art. She returned to the Sydney Conservatorium in 2007, to the newly created role of international development manager. She established new off-shore programs and tours in Asia, Europe and the United States. In 2010 Elaine joined the Australia Council for the Arts, where she oversaw the Australian representation at three Venice Biennales, and the redevelopment of the new Australian Pavilion, which opened in 2015 on time and on budget. Both projects were delivered as public-private partnerships. She joined City Recital Hall in 2016 as the first CEO of the not-for-profit company established to manage and curate an annual program at the 1238-seat venue. In 2.5 years, the number of concert and events presented by the company has quadrupled. Elaine is the chair of Contemporary Asian Australian Performance, a resident company at Carriageworks which is dedicated to making exceptional contemporary Asian Australian work for all audiences. She also actively supports the arts as a donor, because she can, and therefore, simply, she should. When Elaine is not living and breathing the arts, she loves to run, mainly to balance out her love of gelato.